The phantom is made from materials that can be imaged under ultrasound, MRI and CT making the phantom useful for applications that require multiple modalities such as radiation treatment planning. 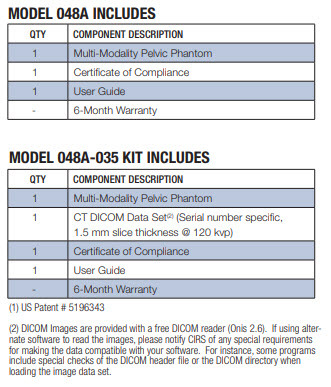 The phantom is provided with certified prostate and bladder volumes to enable assessment of volumetric measurement accuracy. Modifications are available such as permanently embedded brachytherapy “dummy” seeds or gold fiducial markers for demonstration of target visualization.